Hello! Could you tell me a little about proArt? 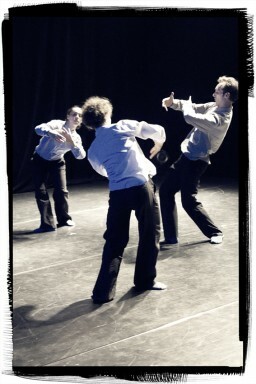 ProART is a diverse theatre group that has been based in Czech Republic since 2004. Our main philosophy is an integration of the diverse theatre genres, breaking boarders between individual art mediums and artists. We try to combine all the disciplines, and believe strongly in this multi-genre complexity. Our basic medium is dance-body-movement, and from this we also incorporate voice, expression, and music. The concept of a dancer being interested in acting – a singer in dancing – seems to be quite a challenge even in today’s world. What is it about dance that you love? Dance is my way to express deeper levels of my thinking, living, feeling… loving. Sometimes I find out more about myself when I dance. I believe that it helps us to touch our inner feelings; it is at once complex and very simple. What is the story behind Poets of the City? The performance will be divided into three parts: Vitka – Blatný – Jan, and each of these will focus on the works of Vítězslava Kaprálová, Ivan Blatný, and Jan Palach respectively. We believe that all of these individuals are very important to Czech culture. Kaprálová and Blatný are from Brno, the city where I was born. Vítězslava Kaprálová’ was a Czech composer who died aged 25, and I often visited her grave as a child. I never heard about Blatný growing up; he was a poet who was forbidden. He emigrated to England in 1948 and spent most of his life in psychiatric care. The performances in their names will take inspiration from their works, both musical and poetic. Jan Palach was a Czech student who immolated himself in protest against communism in 1969. 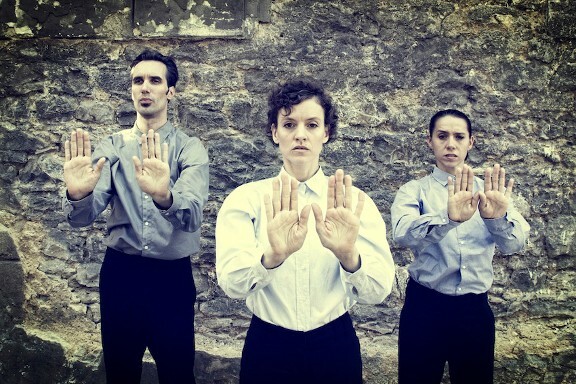 I adore Palach and his strength in trying to change the powerful political system, so it made sense to create the third performance – which explores different ways of overcoming oppression – in his name. Why combine these performances into one show? There is a common theme between the three: the idea of freedom. The topics and cultural figures behind the show are not main stream even in the Czech Republic, and we want to make all their voices and ideas known. All these people have some connection to the Western world, even though they either lived through communism or managed to escape out of the system. So through these stories you help relay Czech’s cultural and political history… why is this important to you? As an art group, we often look backwards and take our ideas from the past – music, literature, social problems – and we reflect or project these ideas back onto today’s society, the public. Our approach is contemporary but we often take inspiration from existing works of art and ideas, for I believe it is of the utmost importance to remember the hidden jewels of our history or cultural heritage. Final Question! What do you want the audience to take away from Poets of the City? To find a new way to express something that they already know, or perhaps even discover new facets of themselves and their thinking. They will be touched, I hope; it is important to open yourself and allow yourself to be touched by art.